It only seems right to offer you an insight into one of the cheapest cars we offer on Contract Hire. 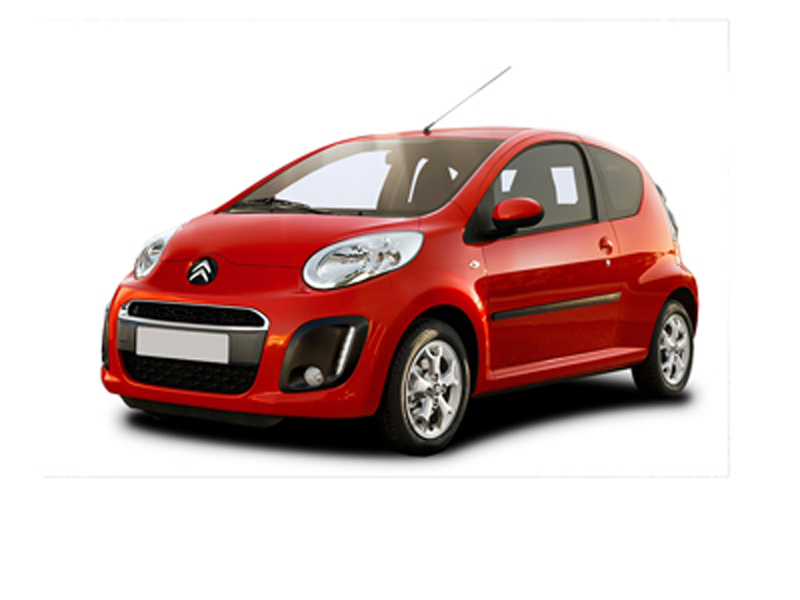 The Citroen C1 (also available in the form of the Peugeot 107 and Toyota Aygo) is a back-to-basics, simple little run-around, and it is all the better for it. If you want anything resembling plushness, this car is not going to be your cup of tea, but just as a car to ‘get you from A-to-B’, then the C1 could well be exactly your kind of brew. It makes the most sense in the basic 1.0 Vibe form, where you will find a vast range of features- like windows operated by twirling a plastic stick and locks that open by placing the key in a door mounted hole(!). Which is the essence of this car, all that missing equipment make the C1 as light as a feather, which means low CO2 emissions (109 g/km resulting in road tax costing a mere £35 a year), amazing fuel economy, insurance group 1 (the lowest possible) and a bargain basement price. Good if you like to wear sensible shoes! Around town this car is absolute doddle to drive, nipping through those small spaces like a ferret up your trouser leg. The steering (which Citroen kindly added some electric assistance to) is light, the pedals well spaced out and the gearbox has an easy, positive action. If you decide to put your hot-shoes on, then the C1 can be real fun. With its Posh-Spice-skinny tyres and lightweight feel, the C1 becomes a go-kart given the chance. The little 3-cylinder motor sounds like an angry bee trapped in a jam jar, buzzing and humming away as you cut-and-thrust through the traffic. I can imagine this could possibly become annoying after a time, but it gives the car a real character that so many other small cars lack these days. Despite only having 1 litre at its disposal, the C1 also offers a useful bit of poke when you need it. Far from feeling like a goldfish that has just been thrown into the North Sea, get out of the city and the C1 still remains competent, it is acceptably quiet at a motorway cruise (although that angry bee can feel like it’s getting a little out of puff!). The ride is smooth at all times, in true Citroen tradition. 4 adults will physically fit in the C1, although a weekend away might be a bit of a struggle, because the boot is truly tiny. And I certainly wouldn’t like to be trapped in the back there for too long… There is however adequate space for 2, and visibility all round is great owing to the big glass area and slim pillars. The layout is straightforward and all the controls manage not to feel too bargain basement. Imagine the recipe book for a city car, the C1 is the simplest recipe, all the ingredients you need with none of the extra garnish. It is simplicity defined, it doesn’t push the boundaries, it is just a city car in its most pure form. And for me, that is where this car scores. It’s cheap, practical and fun, and that’s all you could ask with prices starting from £7195 (or an extra £350 if you want 5 doors). So whether you are looking for a run-around, pool car, courtesy car, or otherwise please call today and find out just how cheap this car can be to Contract Hire, you’ll be pleasantly surprised. For a quote on any car from the Citroen range, please contact us.